Let's face it—you're going to have as much fun with these toys as your kids will. And that's just fine. Having kids around makes the holidays more magical, and to be honest, the toys they have nowadays makes our basic Lincoln Logs and Lego blocks look a little old fashioned. True, Lincoln Logs and Legos will always be awesome, but these toys are decidedly more high-tech. Like the classic toys of our own youth, they’re still designed to stimulate the imagination, help kids master new concepts, and provide hours and hours of entertainment. Now they just require charging a little more often. We play-tested every toy on this page to make sure it was fun to use and age appropriate for both the children in your house—and, yes, the big kid who is you. Show me a kid who isn’t excited about Star Wars: The Force Awakens, and I’ll show you a kid who probably just needs to see the trailer a few dozen more times. My own son loves the BB–8, or as he’s nicknamed it, “the soccer ball dwoid.” And when he saw me unbox this toy version, I instantly became his hero again—in your face, Han Solo. Just try not to fall in love with this little guy. Drive mode lets you steer the BB–8 wherever you want, and Patrol mode sends it out on its own to explore the area while you watch “sensor data” on your phone’s screen. 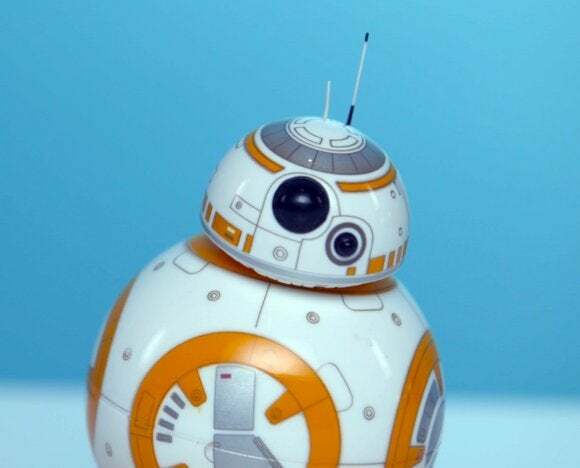 In Message mode, you record a short video, then point the phone’s camera at the BB–8 to see the message played back as an augmented-reality “hologram” on your screen—your face will be blue-tinted and transparent, just like when Princess Leia was beseeching Obi Wan Kenobi for help via R2-D2. 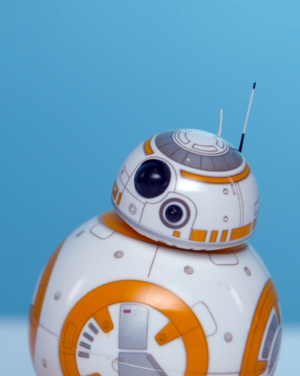 BB–8 is fun for the whole family—my 4-year-old found driving it frustrating, but he loved chasing it, sticking its head back on after collisions, and talking to it. My 8-year-old cousin could drive it with no problems. This is absolutely the droid your Star Wars-loving family is looking for. Picking a tablet just for kids can be tough. My son has tons of preschool apps on our family iPad mini, but I don’t like him having open access to every single thing on YouTube, Netflix, and Safari. LeapFrog’s newest tablet, Epic, delivers a curated experience that’s always appropriate for young kids, while staying fun and educational too. 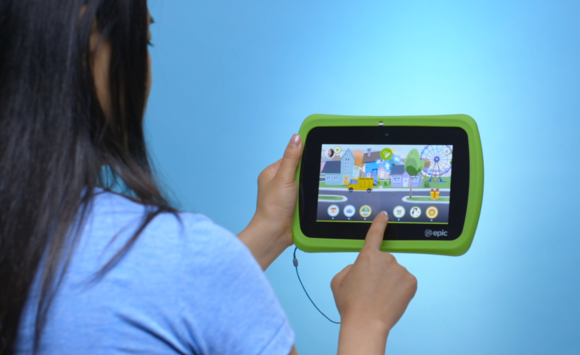 Every LeapFrog and Android app on the Epic tablet has been vetted by childhood education experts. This $140 7-inch Android tablet has a built in stylus, dual cameras, and a thick rubber bumper. (You can remove both for a more grown-up look.) The 1024-by–680 screen and 1.3GHz quad-core processor don’t provide iPad Air levels of performance, but my son didn’t care, because it’s all about the experience. Kids each get their own account, and they can personalize everything, from the interactive home screen to virtual pets. The wide variety of games features familiar characters and educational concepts, and a progressive hint system eliminates frustration. My son is only 4 and can’t read yet, but he had a blast playing a math-oriented cooking game with next to no help from me. Each kid gets her own account, which tailors the content to them and even adjusts the difficulty level of each game. The games and videos aren’t cheap, ranging from $5 to $20, but they’ve been vetted by early education experts, and they actually adjust the difficulty to each child’s level. Parents can decide which kids can access which apps, and set granular time limits per child and per activity. (Say, books are allowed anytime, but videos are limited to 30 minutes per day, after 4pm.) 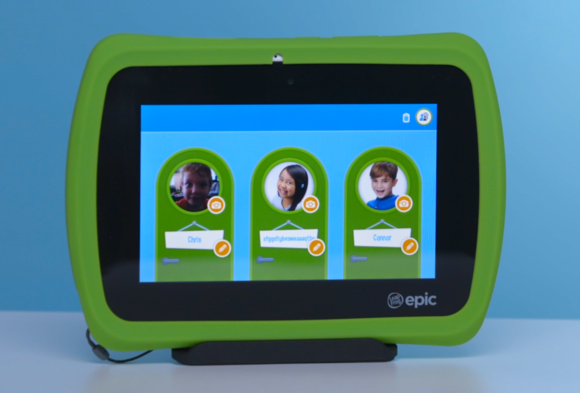 The LeapSearch browser is constantly updated with kid-friendly content, so parents can hand over the LeapFrog Epic without worrying that Junior will stumble across something too adult. Kids are fascinated by robots—I know I was, but toy robots back then didn’t do much besides blink their eyes and ask trivia questions. 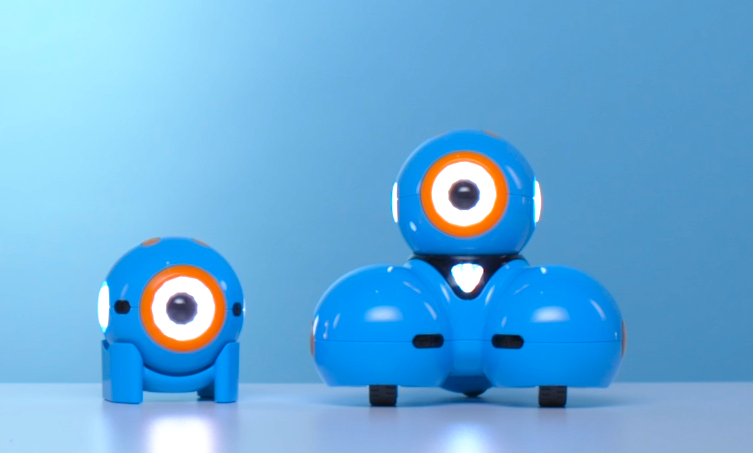 Wonder Workshop’s Dash & Dot are friendly little robots that help kids learn about programming. Make Dash and Dot your own minions by programming them with a smartphone or tablet. Dash & Dot connect to a smartphone or tablet over Bluetooth, and the apps walk you through giving them commands, then stringing together more and more commands until you’ve got Dash ($150) dancing in circles and Dot ($50) blinking colored lights, as both robots talk to each other. As kids progress, the programs get more complex, and they learn how code is like a story, one step leading to the next. My 4-year-old was a little too young to play with these on his own—kids will do better if they can read—but the robots are so utterly charming that he had fun “helping” me and our 8-year-old cousin work through the lessons. Additional apps and optional accessories open up tons more possibilities—you can even give Dash a special xylophone and program him to play songs. Throwing a drone into the air to launch it never gets old. The coolest things about this smartphone-controlled drone are its speed—it can whiz through the air at up to 11mph—and its unique launch method. All you have to do is toss it into the air, and it’ll sense the motion, fire up its engine, and stabilize itself in midair, hovering effortlessly and ready to fly. The dual joysticks on the smartphone’s screen were, again, a little complex for my son to fly, but no problem for my cousin—and all the curious adults in the house too. Built to fly indoors or out, the Airbone Night has twin LED headlights that you can adjust inside the app. The biggest drawback is its lack of video camera (although it can take low-res stills from the downward-facing camera), and its paltry battery life, just 9 minutes of flying time per charge. Still, it’s a drone, and it sounds like one—after 9 minutes of that high-pitched whine, I definitely needed a break. Slot cars when I was a kid were exciting to behold, not quite as fun to actually drive, much less keep driving and driving for hours. Not so with Anki Overdrive. These cars are little robots driven by their own artificial intelligence, constantly sensing both the track and the other cars on that track. You don’t have to manually steer them around each turn, just tilt your smartphone to change lanes, and press the buttons to speed up, slow down, and fire your weapons. Anki Overdrive’s cars drive themselves, so you can focus on the battles. Don’t worry, they’re not real weapons—instead, you’ll see blinking lights on the front of the car that’s “shooting,” and more lights flashing on the backs of cars being shot. From guns to tractor beams that slow down your opponent temporarily, the weapons are fun to use and upgradeable after each race for a layer of customizable strategy. Tap the Anki Overdrive app to “fire” on your opponents, then level up your cars with better weapons and powerups at the end of each race. 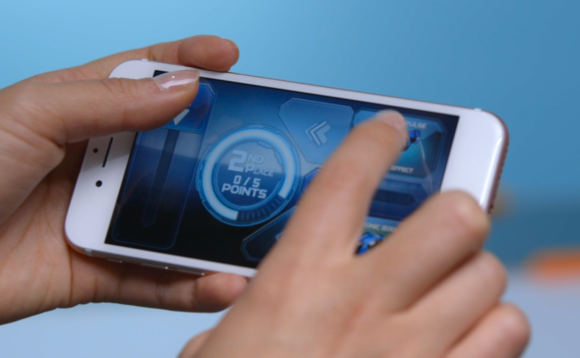 The Anki Overdrive app has multiple modes, incuding a story mode with AI-controlled opponents, as well as race and battle modes to play against either the AI or real-life friends. Also adding tons of variety and replayability is the track itself: the original Anki Drive game’s track was a simple oval, but in Anki Overdrive, you get eight track pieces plus some risers, and you can snap them together however you like—the cars will take a lap to “learn” the new track configuration, and then they’re off to the races. The $150 Starter Kit comes with two cars and eight track pieces, and more cars are $50 each. Expansion packs are available to build even bigger tracks, but as we found in our full review, they actually didn’t add as much as we’d hoped.